While the precise value of a positive customer interaction may be difficult to quantify, most business leaders believe customer interactions are the ultimate critical success factor. In fact, by 2020 analysts predict that customer experience will overtake price and product as the key brand differentiator. (Source: Walker). This surge in customer awareness comes at a time when building consumer and brand loyalty is harder than ever. This is in part because of growing customer demand and expectations, increased global competition and the pervasive nature of social media. To meet these challenges and build strong customer bonds, cloud contact centers have emerged as a mainstream alternative to traditional on-premise or outsourced contact centers. Most cloud-based contact centers include a web-accessible platform for managing and routing customer calls and interactions. Many also include omnichannel communication features like VoIP phones, chat, mobile, social, email, and text. From this platform, contact center managers can also fine-tune best practices by capturing key data about customers and contact center performance. Because the infrastructure is hosted in the cloud, contact centers can also be accessed from virtually anywhere, which means remote agents can be utilized, trained and scaled quickly to support evolving customer experience initiatives. 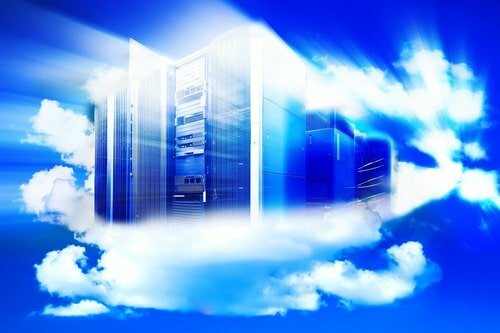 While the pros of cloud contact centers are many, when considering options, it’s important to acknowledge possible challenges as well. Talk to contact center-as-a-service (CCaS) providers about their philosophy and solutions to see if they match business your business goals. The long-term cost of hosting – The truth is, hosting contact center platforms in the cloud can be an expensive endeavor over time. If the technology is hosted for three to four years, or more, eventually those monthly costs are higher than purchasing the technology outright. However, this approach generally requires significant capital investments in hardware, software, IT resources and training upfront, which can be a challenge. Many small business and startups don’t have that kind of capital. Not only that, during implementation, even more, IT resources, and money, may be needed to integrate the call center technology with in-house CRM and unified communication (UC) systems. Dependence on the vendor for valuable customer interactions – One of the most valuable aspects of managing a contact center platform and people in-house is that the organization is in full control over customer interactions and customer service processes. Full access to all customer service data as well as complete transparency into customer care procedures can be useful. When these functions are managed internally, contact center managers can, in most cases, more easily interact with agents on a consistent basis. This interaction can aid in training and help to instill the company’s culture, which should genuinely represent the brand. With this approach, a company’s customer-centric vision can be shared and voiced through each customer channel and through each interaction. Relying exclusively on a vendor to manage customer engagement can be operationally efficient, but each company must decide how to best approach its customer service strategy. Heavily regulated industries – Another potential challenge for cloud-based contact centers is if a company is in an industry that is highly regulated or has multiple compliance requirements. Similarly, those organizations that deal with highly sensitive customer information or technical information may require customer agents with specific qualifications and training (i.e. legal or financial industries). While some virtual cloud providers offer access to skilled agents that may meet compliance needs, such as those that specialize in healthcare and are HIPPA certified, company leaders need to determine how customers will be served. While none of these challenges to cloud-based contact centers should be automatic showstoppers, it’s important that companies address each issue thoughtfully and with an open mind. Because let’s face it, there’s zero potential for revenue growth or sustainability without happy, brand-loyal and positively vocal customers.